How’d Andrew and the Disapyramids get started? 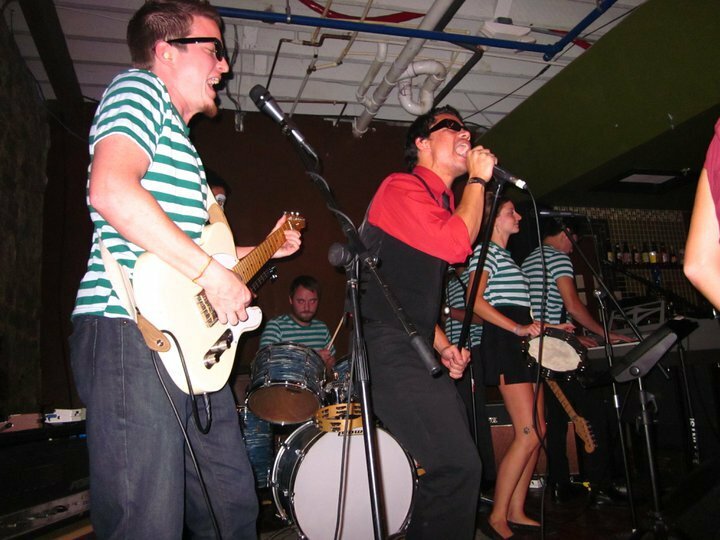 Why be a retro surf band in the 21st century? 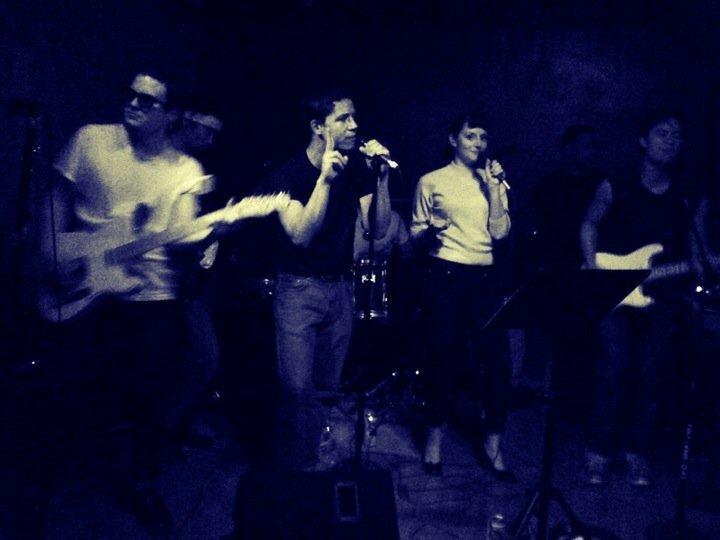 Because being in a Lady Gaga cover band wouldn’t be near as much fun, and what’s better than a good beach party? What can one expect at an Andrew and the Disapyramids gig? Lots of cheesy-sounding organ, tambourine and teenage hand claps! How do you pick which songs you cover and do you do any originals? There’s just so much good music that you don’t get to see performed very often. We’ll all throw suggestions out there, and we see which ones stick; or I will just come out with all these songs at the last minute and try to make everyone learn them. We want to get to a point where we can throw sock hops, too. We do have some original songs. I’ve written a couple, and Jordan [Williams, drums] has written one as well. Who are a few of your idols and why? Brian Wilson, because he is the best. Me and Andrew, our favorites include Dion DiMucci, The Ventures, The Coasters, John Lennon, Paul McCartney, Pete Townshend, Rod Argent, The Everly Brothers, Ray and Dave Davies, Otis Redding, James Brown, Eric Burdon, Jeff Buckley, Bjork…The Yoder Twins…ha, ha! So what is it with your band and drummers? We’re hoping that we are not bad juju for drummers’ health. So far, we’ve been lucky enough to work with a murderers row of Atlanta drummers. It’s kinda like playing for the ’27 Yankees! What did Spiff Carner of oldies radio station 106.7 FM think of Andrew and The Disapyrmids, after seeing your first gig? He thought that we were great, but we needed to learn more songs, ha, ha! You’re slated to play a private party at Looney Lake on June. We’ve just got to ask where is that and are you playing for Bugs Bunny? Lake Lanier. It’s actually Daffy‘s place. Bugs should be there this year. Last year, he shoulda taken that left turn at Albuquerque and ended up missing it. In addition to the Noni’s show, Andrew and the Disapyramids will be at the Drunken Unicorn on June 4 with FishHawk. Andrew and Joshua also play together in Winter Ransom.